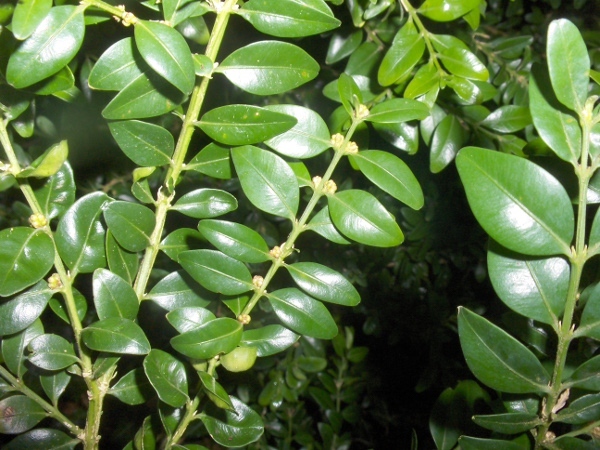 The inconspicuous flowers of Buxus sempervirens are borne in the axils of the opposite leaves. 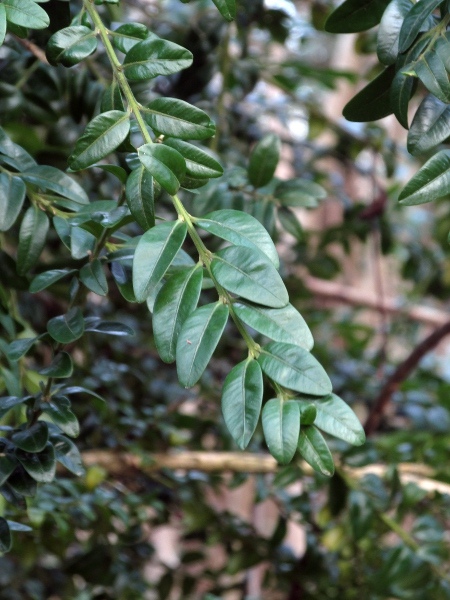 The leaves of Buxus sempervirens are shiny above. 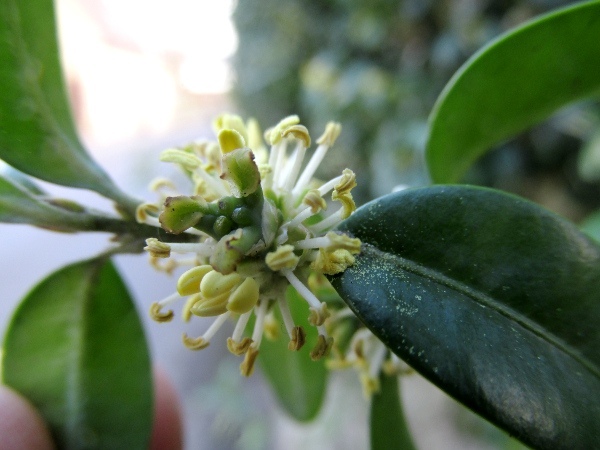 Terminal, 3-parted female flower and numerous male flowers with 4 stamens each. 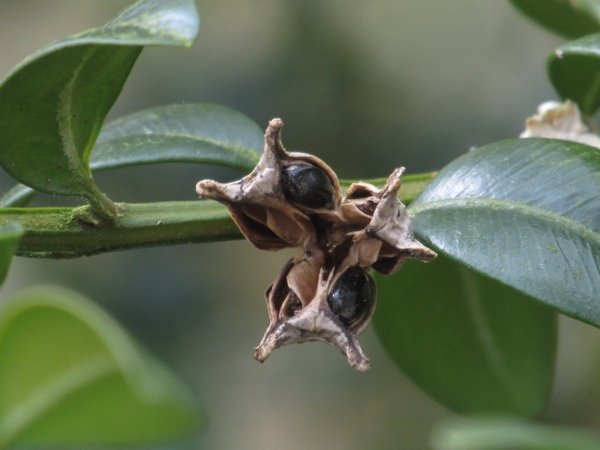 The three-parted capsule breaks open to reveal shiny black seeds.